I have three items on the pins at the moment. I don’t think I have ever allowed myself that before, usually because it feels way too dis-organised – like I can’t settle on a project, but I am in love with these yarns and am in full-swing KnitBritish! 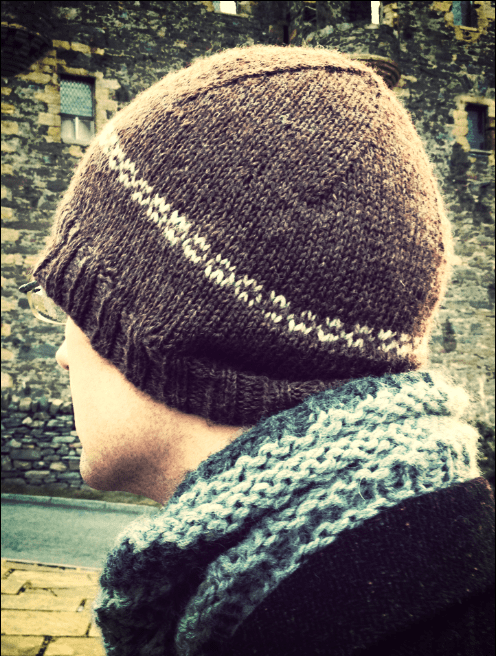 Before the end of last year I cast on Ysolda Teague’s Marin with Babylongleg’s Radiance in colourway Petrolhead. I am a bit of a sucker for a teal and this is nothing if not radiant! British dyer Mamalonglegs (Sarah) is a fibre artiste extraordinare! you should really hop right on over to her shop and have a look. I can just about guarantee there is something for everyone. 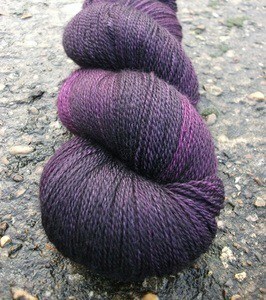 Right now I am in love with the look of the LoveLace yarns. It is somewhere between sock and lace weight, which is perfect for the laceweight wimp that I am! Its 55% BFL and….45% Silk…yum! Dyeing is done in small batches so every skein in really special. She also does custom dyeing too, so if you have something specific in mind, or need more of a particular colourway check out the website for contact details. 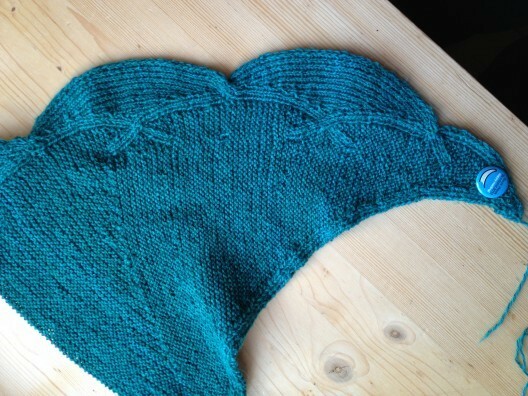 The pattern itself is really lovely and unusual to any crescent shawl pattern I have knit before. A lot of Ysolda’s patterns have fantastic construction aspects and this is no exception. 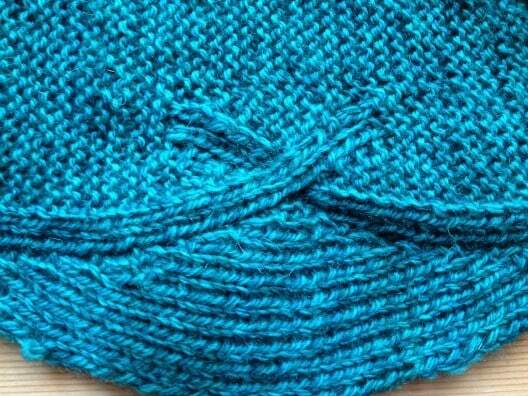 It is knit side to side, with short row shaping to form the centre. I have had this pattern since it was released, but I have to admit that I was a little put off by some of the comments of the forum asking for help with the construction I should not have been worried. The pattern, as with all of Ysolda’s, is really well set out. The written instructions are easy to follow and there are also charted instructions. Sometimes I think one should read the pattern a couple of times before starting and not get too worried by other’s project woes – certainly good advice for me! The only thing is…I thought I was using the correct needle, but I appear to have gone down a needle size. I think once it is blocked it should be fine though. Only the last chart to go and I can cast off! …is my second project. It is off the needles, but is need of weaving and blocking. 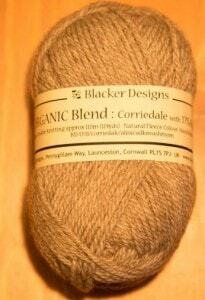 I cast on with this wool as soon as it arrived from Laal Bear’s Etsty shop. 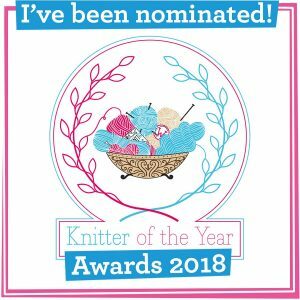 Laal Bear mainly sells hand dyed yarn and fibre, as well as handspun and other items, but she has sourced really beautiful natural British yarns. I ordered some BFL and Jacobs and as soon as I opened the packet I knew right away I had to squidge and cast on! 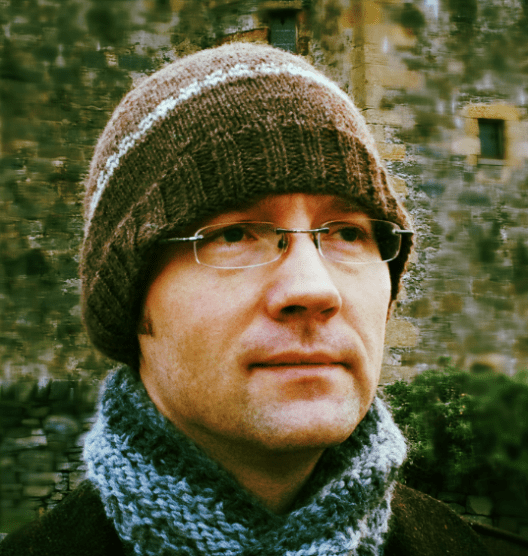 To break up the brown a little, I knit in a little Portland/Manx “tweed” from Natural Yarn. I will be using this for a future project, and tell you more about that another time. The lovelyfella (lovelyfiancé now, btw) bought a new wool, tweedy coat before Christmas and needed a new topper to go with it. I really don’t think he cared one way or another for a new hat, but he was very sweet listening to me “oooh” and “aaahh” and wax knitical about its sheen and softness as I knit it for him. I think it certainly came in handy today when we went on a little filming shoot around the chilly Shetland back-of-beyond! My third project on the pins is from Tin Can Knits. I eagerly watch out for new patterns from them ever since I saw their Low Tide Cardigan. They offered a free pattern as a Christmas Gift and I chose this one. LovelyFiancé has a new niece in NZ and what better than to put a baby in lovely, soft, natural, BRITISH, fibre? I am knitting this with the natural white BFL from Laal Bear and some – sadly now discontinued – Organic Corriedale and Alpaca DK from Blacker Yarn. I am sad that this has been discontinued as it is super soft and very nice to work with. I am assured that the new Swan range is very close to this yarn, should you need an alternative. 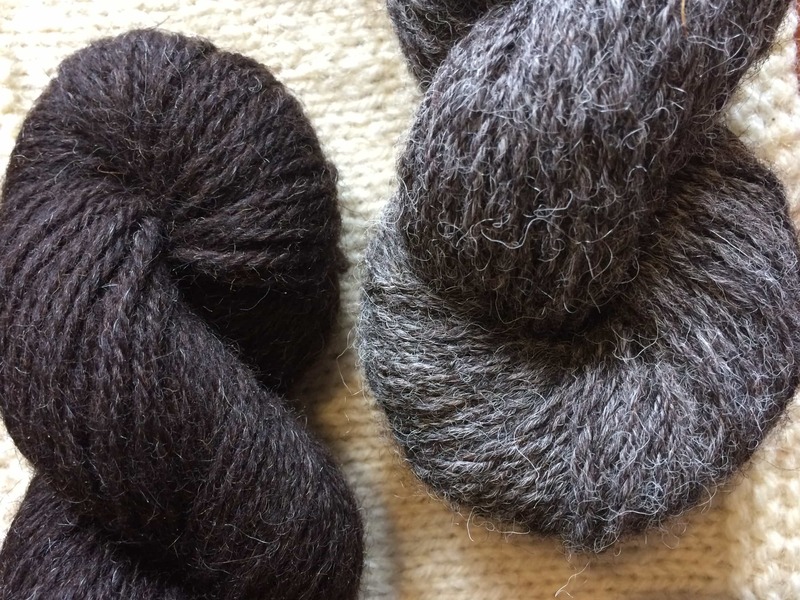 Both wools are just a soft, squidgey delight and will be so gentle next to baby’s skin. My only gripe with the pattern is that there aren’t written instructions, which isn’t really a gripe at all as I can read charts, but I think some people see a chart and can read it whole, work it row on row easily and others – like me – see it as a little less conquerable (if that makes sense) and I feel I am putting more of my brain to work that with just written. But then I like to challenge myself! I have finished the yoke of this top-down sweater and I will post pics of these unfinished items soon. To give you a Happy New Year Laal Bear is offering a 15 % discount until 12pm on Monday – just enter NEWYEAR15 at the checkout. 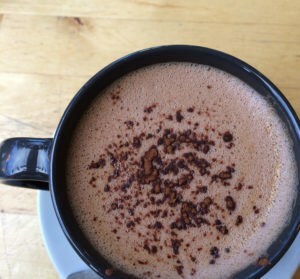 Hi Louise – Love the blog and what you are doing! 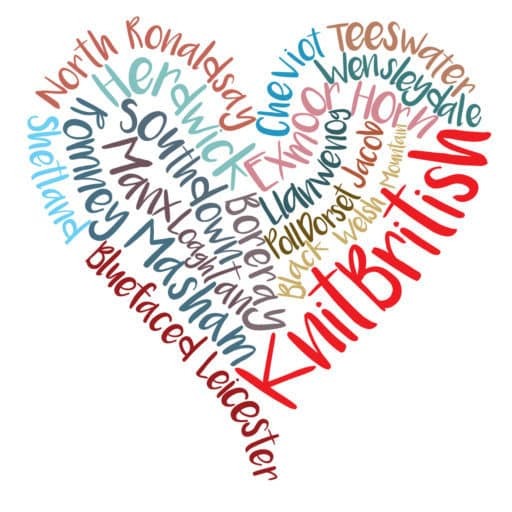 I’m putting out a collection called ‘Handmade in the UK’ this spring – lace designs in UK indie dyers yarns. FYI tried to use your contact form, but it wasn’t working.